The Flat Screen was a test. There's something special about it, but I can't really recall what at the moment. 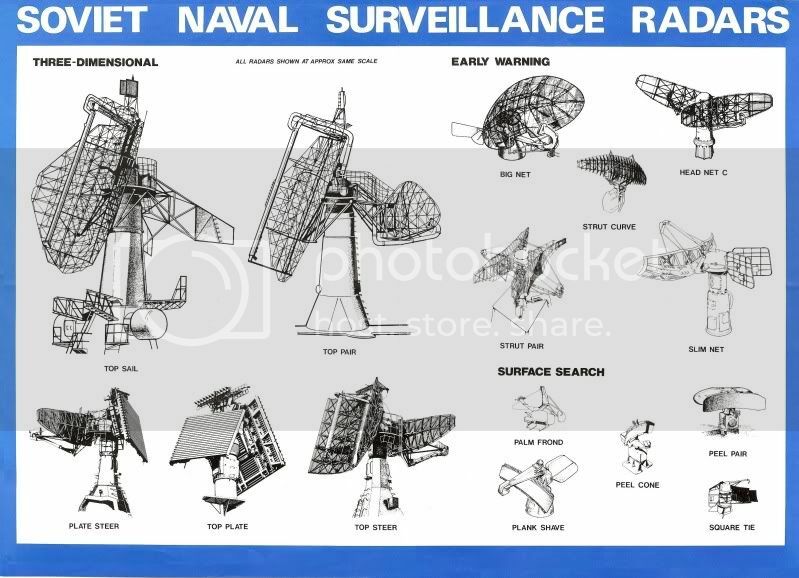 I THINK, it was a phased array like US SPY-1 type of radar (although this one is rotating of course). I'm not sure, but I think that was the special thing about it, it can take a lot more targets than the regular Top Plate or Fregat radars. Kerch and Azov were both used for testing later in their lives. Kerch is still there, she's receiving occasional upgrades as she's sponsored by the city of Kerch. For a long time, a lot of things were regulated and provided by the city which sponsored the ship (and I think that actually still stands as of now). Just like to draw your attention to the 2 newest books published recently in Russia. One - dedicated to Kresta-I and Kresta-II Classes. Another - to Kara Class. Has anyone purchased these books? I would like to have an indication of the quality and price. Thank You Sea Burn most appreciated. I found this photo amongst my old service photos. Hello Mike, Thanks for those, sorry it took so long to reply. I see you were also a recipient of the "Joint Services Recognition Journal" I don't suppose you happen to have any copies featuring the Russian Projects 159 Petya or Project 204 Poti? 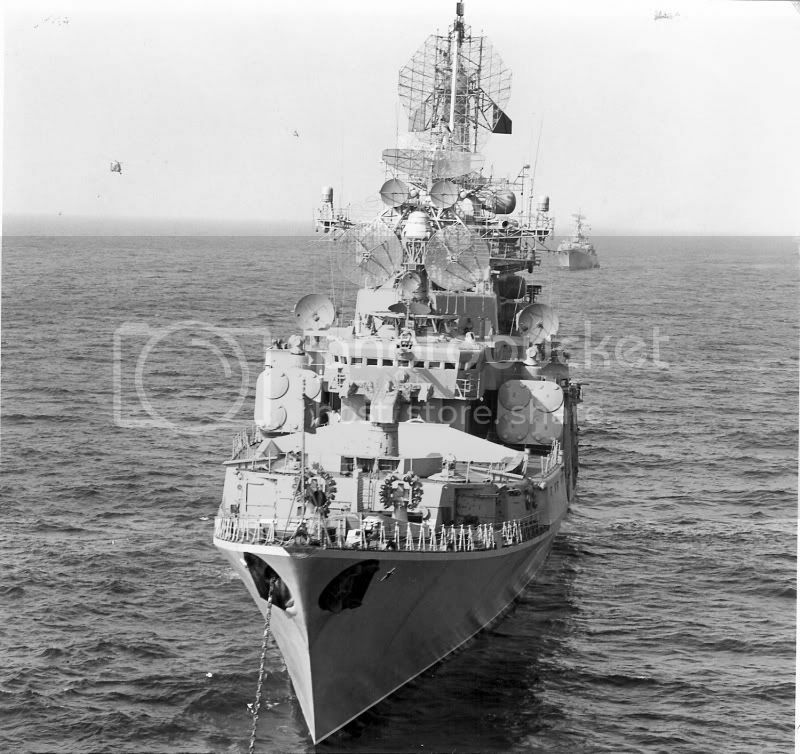 Not a very active subforum, but I wondered if anyone knows a source for the Czech "JaPa" 8-sheet plans of the Kresta I missile cruiser "Sevastopol" c. 1969 in 1:100 (or 1:200) ? I've seen a copy and they look pretty good. Maybe Dave Wooley knows? Any idea about the deck colour (or colours) of the Kerch (713), Project 1134B Kara Berkut Missile Cruiser of the Russian Navy, in her present version? Last edited by AyalaBotto on Fri Apr 08, 2016 3:26 am, edited 1 time in total. thanks a lot for the link. Highly detailed photos that will be usefully to my project! And all decks painted with the standard Russian "brick colour"
What is with Kerch now? Will she be back in service? What is with Ochakov? She was raised again. But I cannot imagine that she will be ever back in service. Conflicting reports regarding Kerch status after the fire that broke out on November 2014 in Sevastopol. Depending on the sources the ship will be scrapped or repaired and returned back to active service. It appears to me that as built, all four domes were arranged in a vertical column. And it appears that when Vice Admiral Drozd was modified with the ADMG-630 ciws, the lowest dome was moved aft and higher than it was originally. Can anyone confirm or correct me? If anyone here wishes to build a RC model of the Kresta 1 or 2 and Kara contact me. I have plans for you if your interested. Has anyone had any success in constructing either the Scoop Pair or Peel Group radar arrays in 1/700? For the Scoop Pair, I am considering use of two SPS-10 arrays, one above and one below. Rick, You are correct about the ECM globes on Adm Drozd, the lower dome was moved several times over a number of years, but was moved back to its original position each time. Adm Zozulya also had her lower globe moved.